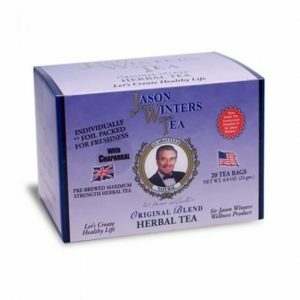 You are here: Home / Sir Jason Winters Blog / So Which Sir Jason Winters Product Is Perfect For You? So Which Sir Jason Winters Product Is Perfect For You? Everybody has different tastes when it comes to teas and supplements. Usually, this is how people pick out which tea option they use from Sir Jason Winters. But different products could have subtle flavors you don’t expect or health benefits you could be taking advantage of. So which Jason Winters Product is it the perfect one for you? We’ll break down some of our most popular products to help you find out which is the perfect fit! If you’ve tried this tea, then you already know why it’s one of our most popular teas. 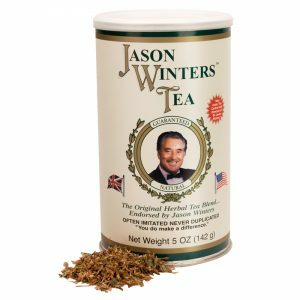 Combining sage with our classic blend creates a unique tea flavor that you can only get with Sir Jason Winters. Aside from flavor, our classic blend herbal tea with sage could be your next favorite for its benefits. Sage is well known in the health community to help with stomach pains. If you have a gentler stomach that has trouble with some types of teas, then our blend with sage is going to be the perfect option for you. Sage is also believed to strengthen the body. It is known as a blood cleanser, improves blood circulation, and helps to build up the immune system in the body, and beneficial for mental exhaustion and strengthening the ability to concentrate. This is our do-everything supplement. 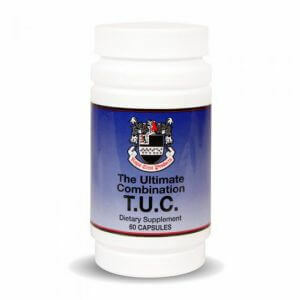 The Ultimate Combination (TUC) is stuffed full of health benefits. A lot of this comes from the elecampane root, burdock and sage in each capsule. TUC is best for someone that is looking for a way to avoid becoming sick or to treat current infections. We carefully selected the herbs found in TUC to give your body the ingredients it needs to clean the blood stream and fight bacteria-based infections. One herb in TUC, the burdock root, is an herb traditionally used to help purify blood. Another, herbalene, is said to act as a catalyst and amplify the effects of other herbs. Our original blend tea with chaparral still contains our classic blend, but with chaparral added to the mix. Not everybody is fully aware of chaparral and its benefits. Chaparral is a very powerful herb, so we don’t put too much of it in our tea blend. But there’s enough of the super-herb to reap the benefits and taste the unique flavors. Chaparral is known for boosting the immune system and contains NDGA, it’s great for helping with respiratory problems – so you can see why it would go great with a hot cup of green tea! If you’re looking for an uncommon tea flavor to help you breathe easy, this blend could be perfect for you. The Xian supplement draws its name from Xian, an ancient city that had many elderly residents. 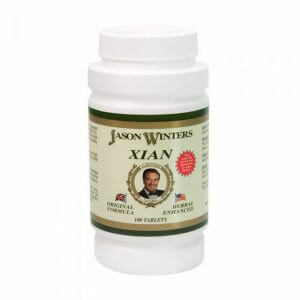 The ingredients in the Xian supplement are designed to help you feel young, both physically and mentally. This supplement is best for someone that wants to improve their memory and stay alert. This supplement contains one of our favorite minerals, selenium. Experts believe that selenium can reduce your risk of heart attack and help act as an anti-inflammatory. Just another piece of the supplement that is there to help you stay young! Purchase here. You can never go wrong with green herbal tea! Our classic green tea is incredibly high quality, so you’ll immediately taste a difference when you compare it to other tea brands. On its own, green tea is still loaded with health benefits. Those that drink green tea usually feel more energetic and healthy day-to-day. This can boost your immune system and help cuts, bites and injuries on the skin heal faster. 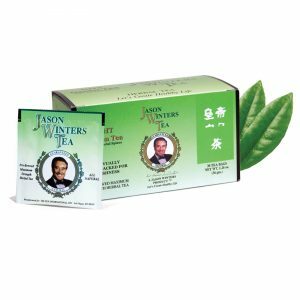 Our green tea also contains the Jason Winters Formula for that extra added benefit! For non-tea drinkers, this is the perfect place to start. Everybody should be drinking green herbal tea at least once a day. If you aren’t a regular tea drinker, try out this herbal tea and find out why tea is such a popular drink around the world! https://sirjasonwinters.com/wp-content/uploads/2017/06/SJW.jpg 598 1237 Michael Austin https://sirjasonwinters.com/wp-content/uploads/2016/04/logo.png Michael Austin2017-06-14 10:25:182018-10-17 13:31:26So Which Sir Jason Winters Product Is Perfect For You?